Jordan relies on MetroLink to take his education to the next level. To do that, Jordan boards a train at the Central West End MetroLink Station during the week and rides into downtown St. Louis. He exits the train at the 8th & Pine MetroLink Station, and then it’s a quick walk to school. 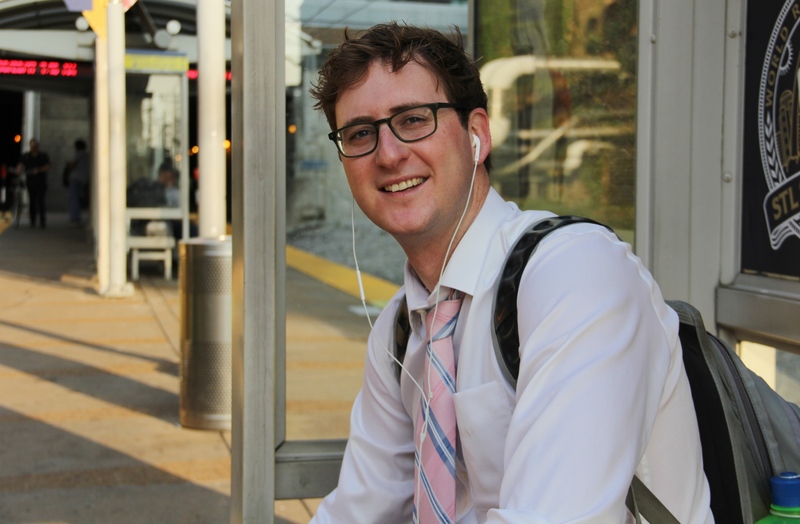 Jordan began using MetroLink in 2015 when he moved to St. Louis to start law school. On today’s commute, Jordan is using the train to get to his externship at the Circuit Attorney’s Office. After that, it’s back to class at Saint Louis University’s law school, which is located nearby at 100 North Tucker Boulevard. “It’s a short walk, so it makes me move a little bit more than I usually do,” he said. In addition to being a convenient option for Jordan, MetroLink also provides numerous benefits. “It cuts down on the cost of parking, cuts down on the cost of gas — and it’s easy,” he said. It’s also punctual. Jordan said that when compared to other light rail and commuter rail services he’s used throughout the country, MetroLink does a great job sticking to the schedule. “It’s almost always on time,” he said.